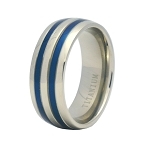 A dash of decadence is on the agenda with this gorgeous aircraft grade titanium ring for men. 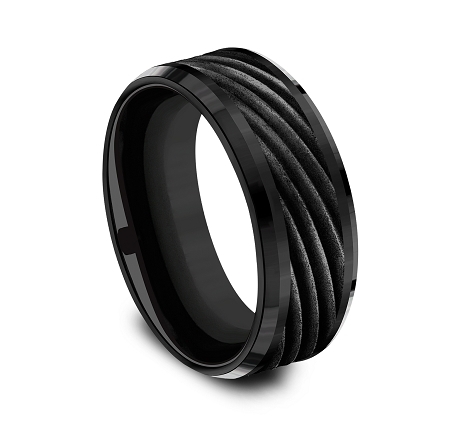 The raised swirl pattern on this 8mm black Titanium comfort-fit design band creates a look of whimsical airinessComfort fit rings usually measure 1/2 size smaller due to the additional metal inside the ring. 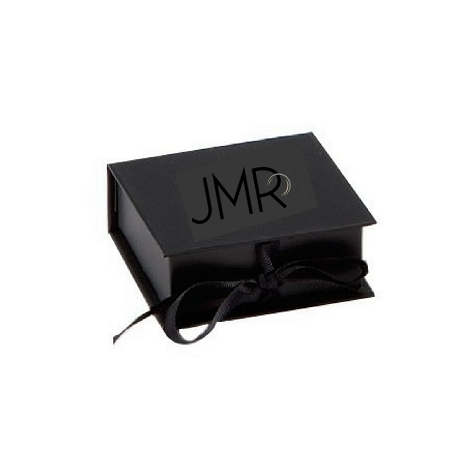 We recommend having your finger measured for a comfort fit ring at your local jewelry store.